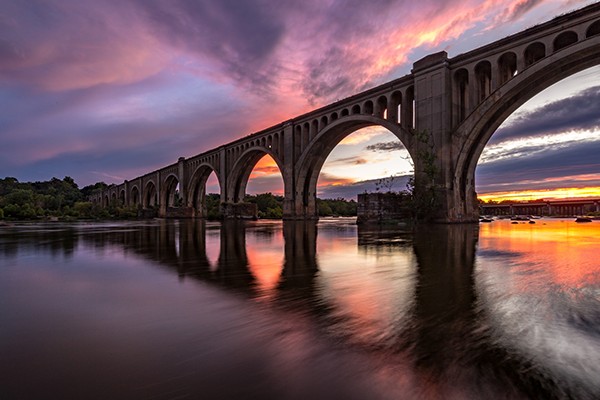 The Virginia Capital Trail is a dedicated, paved pedestrian and bicycle trail that will connect the Commonwealth’s past and present capitals of Jamestown and Richmond along the Scenic Route 5 corridor. Once complete, the Trail will traverse 50+ miles, four jurisdictions, and more than 400 years of history along one of the first inland routes in North America. The Virginia Department of Transportation is in progress building the Capital Trail, in conjunction with the Virginia Capital Trail Foundation, and there are currently about 29 miles completed: .5 in downtown Richmond, 20.5 in Charles City County, and 8 in James City County.